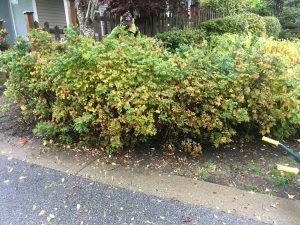 October 2017 - Proper Landscaping Inc. There are many simple improvements you can make in your landscapes. And they don’t cost tons of extra cash or time. You just have to work them into your regular maintenance schedule. Below are a few examples. 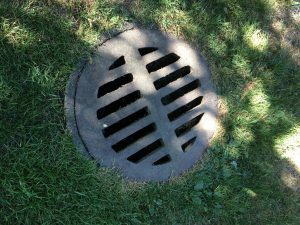 Drains in lawns are often forgotten until one day they get swallowed up by your lawn. Don’t let it happen. Let me illustrate with a quick story. 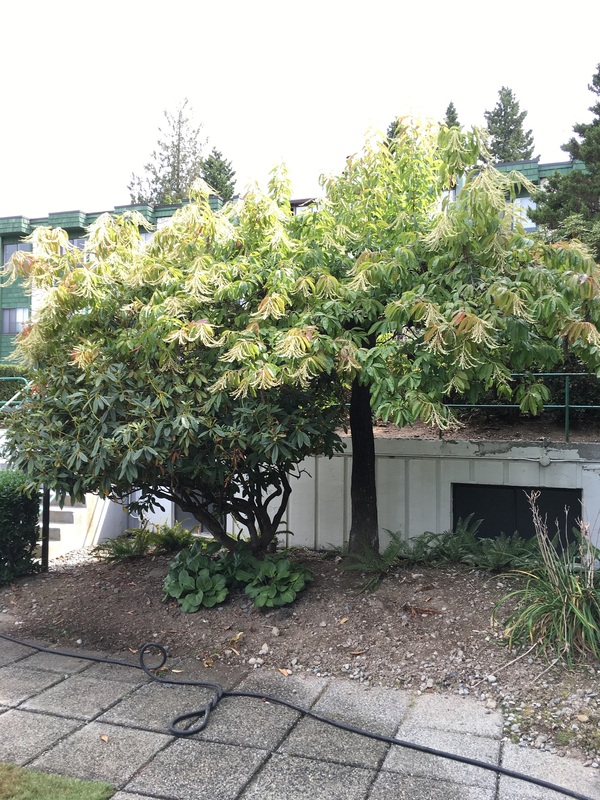 Many seasons ago I was in charge of maintaining a smaller strata complex in North Vancouver, British Columbia. One day, water people came in looking for controllers. Except they weren’t able to locate them. 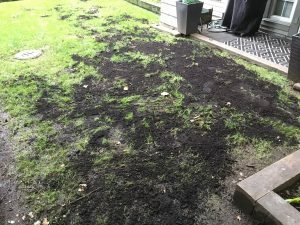 It took extra phone calls and searches for them to realize that the controller in question was under the lawn. 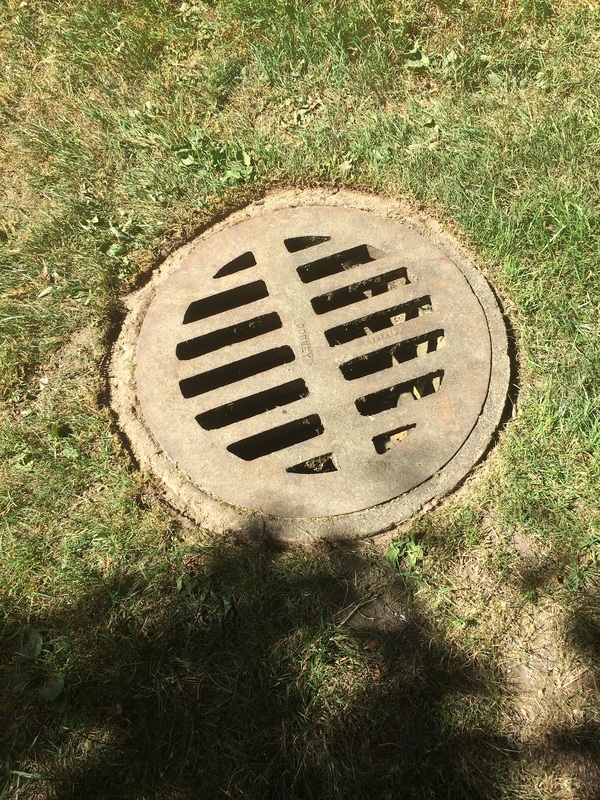 Once they dug it up and did their thing, they gave me a speech on maintaining drains and covers in lawns. And even though it wasn’t my fault, this episode stayed with me. So now I keep all drains and covers in lawn areas nicely blade edged so they can be located and accessed. And the best part is that you don’t have to do it weekly. Once in a while will suffice. Before long this cover will disappear. This problem can be easily fixed with a blade edger. This another overdue procedure. Note how the rhododendron and the sourwood tree (Oxydendrum arboreum) co-exist without any separation. This will only get more pronounced as time goes on. And how do we enjoy the rhododendron flowers? 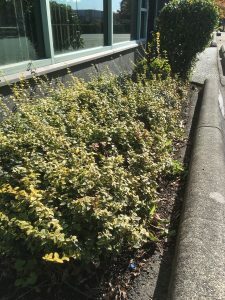 I had a meeting at this site in spring and the strata council didn’t want anything pruned (correctly) before flowering. But when I showed up in August, I couldn’t help myself. 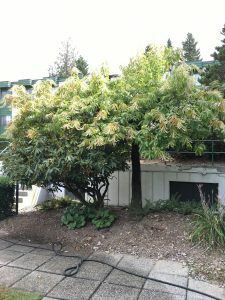 I removed branches from the sourwood tree and also some of the height from the rhododendron. See the picture below. What do you think? This wasn’t anything serious. 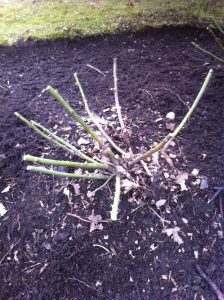 I removed some tree branches and some high stuff from the rhododendron. I suspect we’ll be able to nicely enjoy the rhododendron flowers next year. 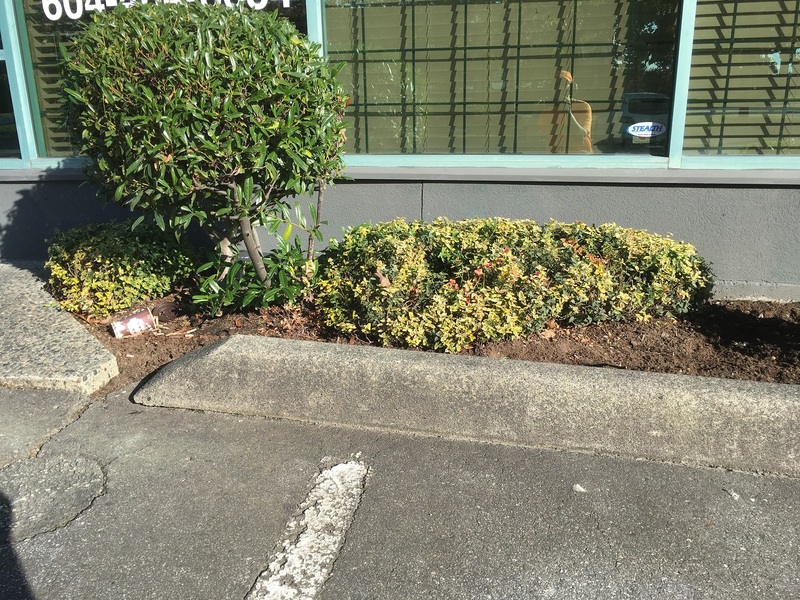 This was another simple landscape maintenance procedure. It just has to be squeezed into your regular weekly scheduled tasks. But like the blade edging above, it won’t have to be done again for months. 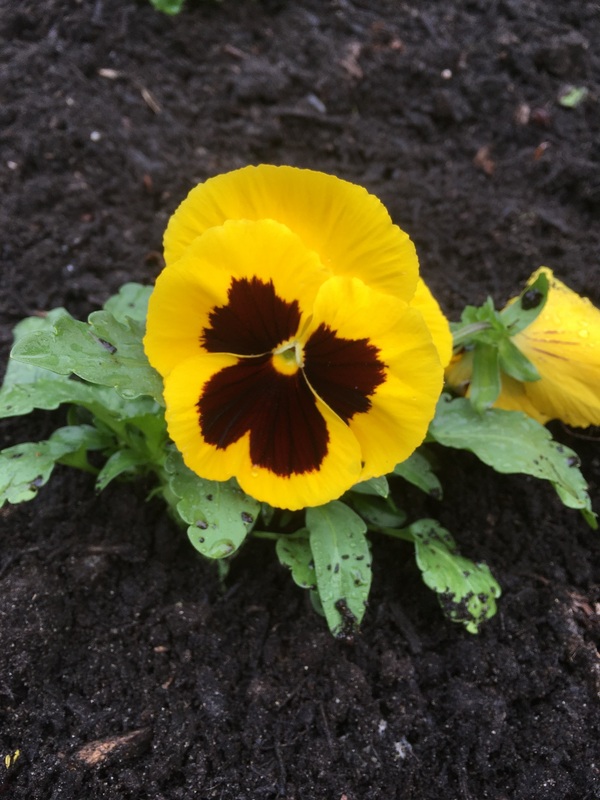 What simple improvements can you make to your garden and landscape? 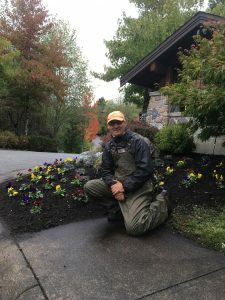 Fall is here and chances are if your planted beds are still full of annuals, they don’t look their best. And if they still do, think about changing them over soon. 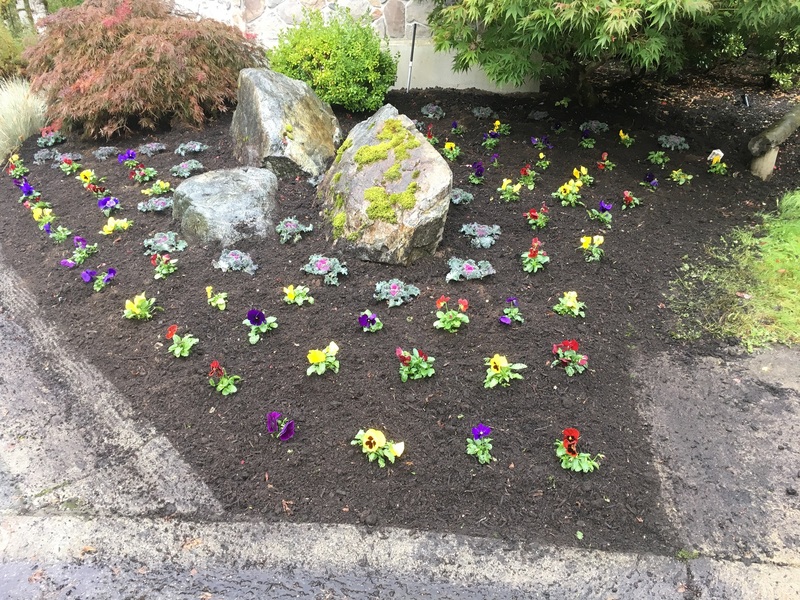 At one site, a strata council lady wanted us to plant winter annuals in amongst the old summer annuals; AND move some of the summer annuals around the complex. No way is that a good idea. Give it one cold day and summer annuals like begonias will turn to mush. 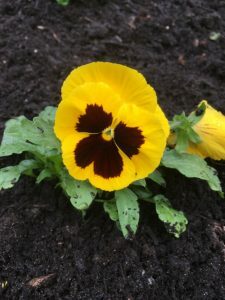 The simplest switch involves pulling your old summer annuals. And do it well. Dig up every single plant and rake out all broken flowers parts. Try not to remove too much soil as you do this. If you have access to a rototiller, this is a good time to use it. Yes, tilling destroys soil structure but it’s Ok. Remember we’re not growing crops. The idea is to prepare your beds for easy planting. The softer the soil is for planting, the better it is for your wrists. When I worked at the City of Coquitlam our beds were so fluffy we didn’t need trowels! If you don’t have a rototiller then just cultivate your bed nicely. That’s what I had to do last week and it was fine because I only had to work with six flats. Pulled summer annuals and cleaned up beds. Lay it out nicely to make sure the bed looks decent. Before you plant, remove the weak leaves at the base. 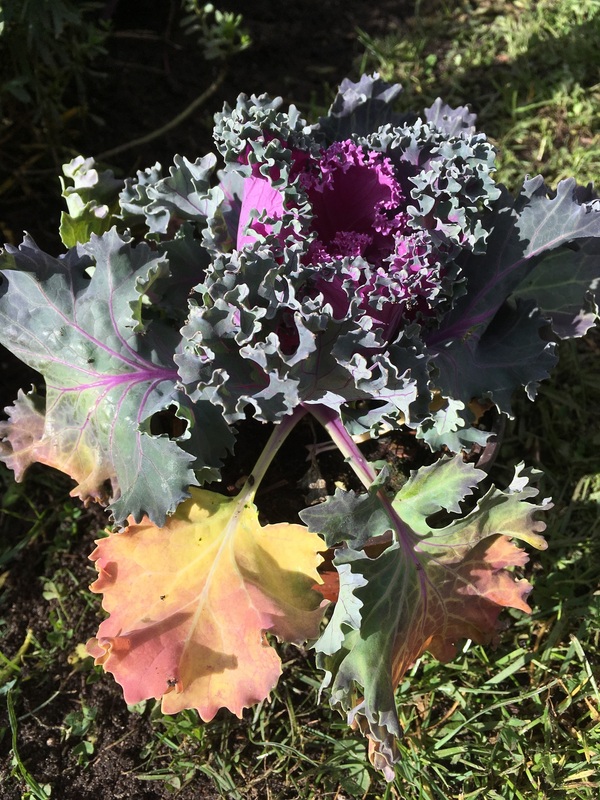 Ornamental kale. Don’t forget the critical last step: a courtesy blow. I had to remind my crew members to blow along the curb gently. Otherwise you risk getting debris blown in thereby ruining the show. If you were planting spring bulbs, they would go in first. Obviously. Then the annuals would go on top. 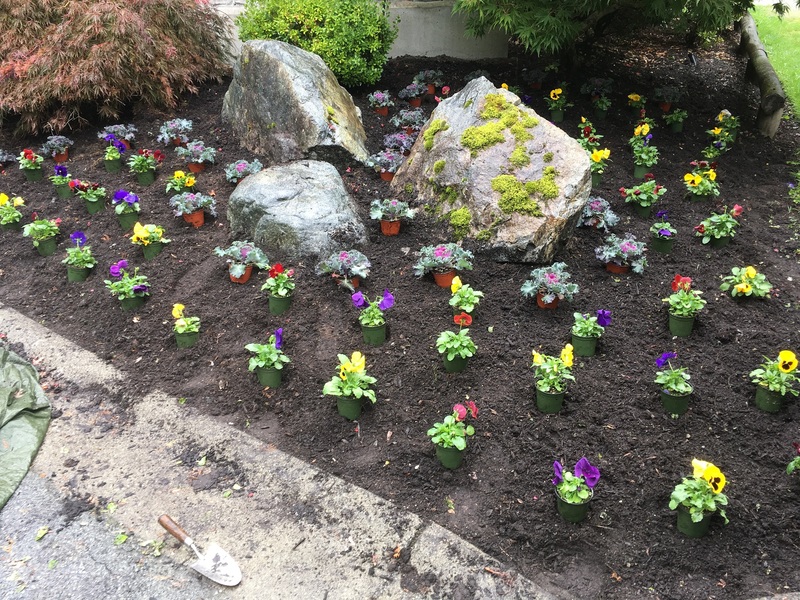 In spring, when the bulbs pop up, you remove the winter annuals. Then you sit back and enjoy your spring display. That’s called delayed gratification and after months of waiting, you deserve it. Final shot. Notice the courtesy blow. Always leave your work area as clean as possible. After all, this is a high-profile main entrance. 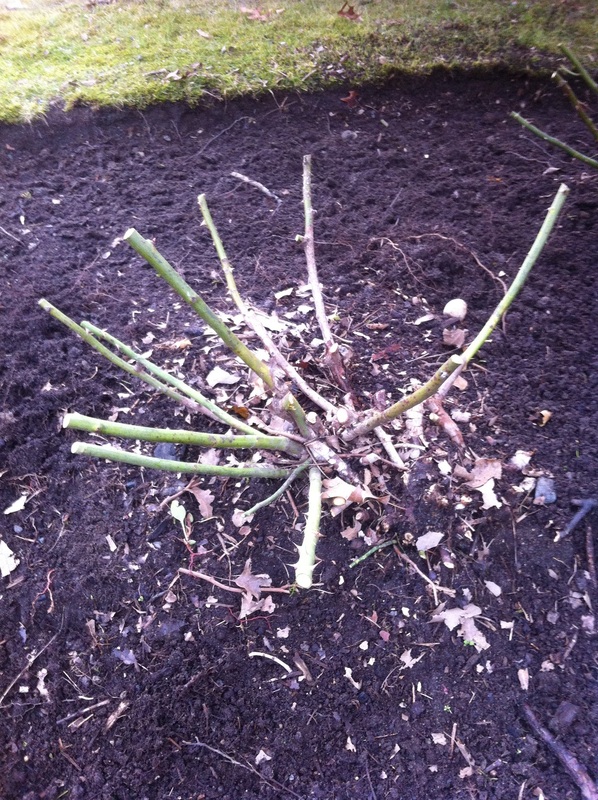 Pruning on strata properties sometimes feels too harsh. 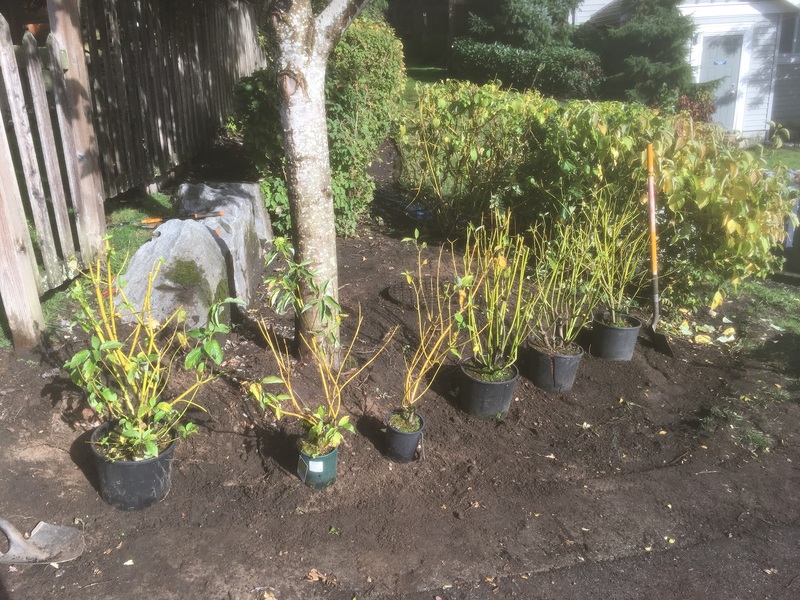 Because of space and time constraints many shrubs get pruned into balls and boxes. Plants must be kept away from buildings and walkways; and from each other. 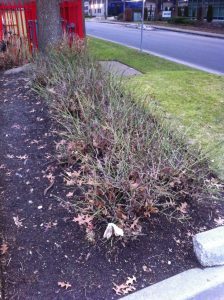 Additionally, power shearing shrubs is much faster than hand pruning them. And that makes every landscape maintenance boss very happy. This is why maple trees get sheared into balls because it would take much longer for someone to hand snip all of the shoots. And so it goes every season. Home gardeners have the luxury of space and time. Normally. I recall the late Cass Turnbull giving a lecture and saying how Abelias should only be lightly hand snipped. 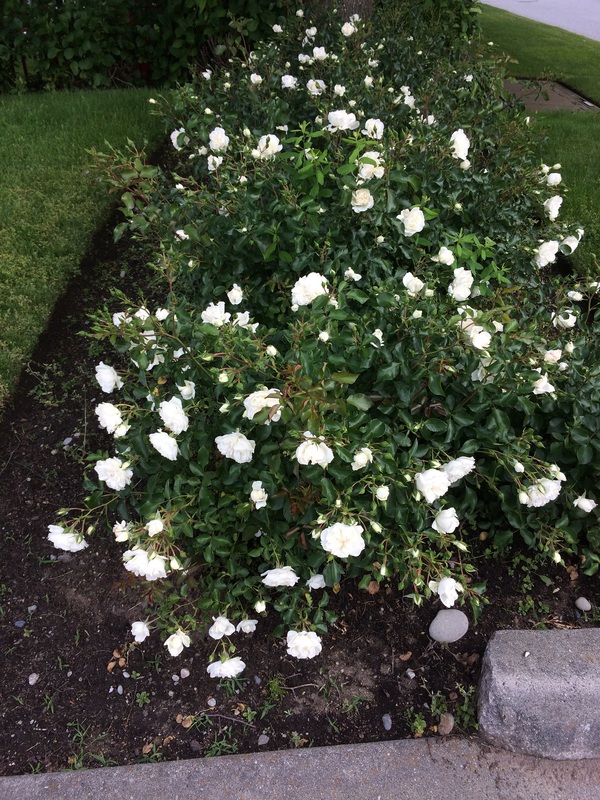 Yes, maybe in someone’s garden but not on a strata property. As soon as the shrub sends out spikes, strata people freak and power shears come out. There are exceptions, of course. On one strata site we have an Osmanthus shrub which got balled regularly until new owners moved in. Now they want it more natural looking. And why not? The backyard will look just fine with an Osmanthus shrub that isn’t forced into looking like a ball. 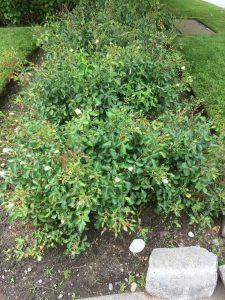 It will just require some careful pruning and it might take a bit longer. The owners don’t want their Osmanthus pruned into a harsh ball again this fall. Another exception is my commercial property. Since I’m in charge of my time and (usually) work, I elected to hand snip my plants. It may seem slow but consider this: since I hand snip the spikes, they stay in my hand. This then eliminates the need for clean-up raking. Additionally, it gives the plants a more natural look. You can still see the shape but it’s not as harsh as it would be after power shearing. And one extra bonus is the lack of noise and air pollution. I totally enjoyed myself in the Sunday afternoon sun. 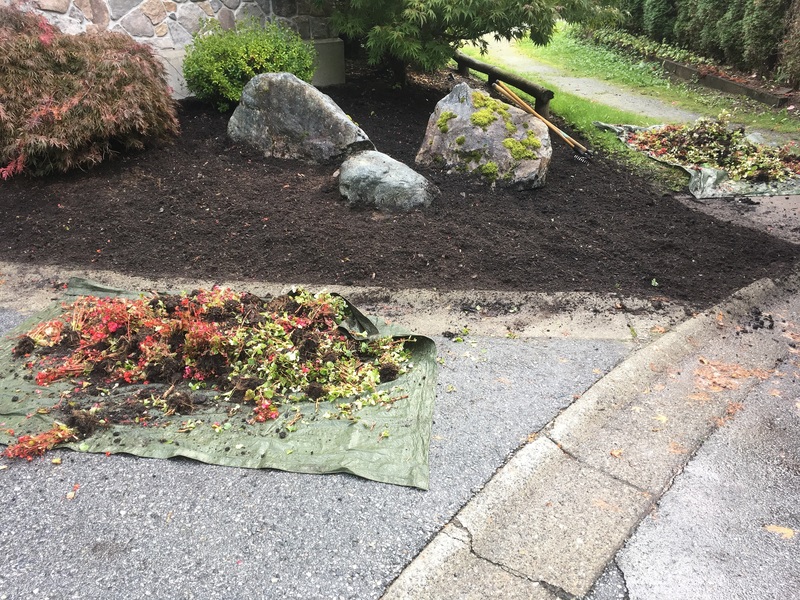 However, considering leafiness and the mess I made while weeding, I did blow the site because commercial properties should look good on Monday morning. 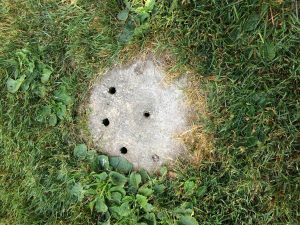 As I blew the site I also made mental notes about tree pruning, chafer beetle damage on the lawns and finesse work. The idea is to remove the spikes. Normally these plants get power sheared. After hand pruning which was slower but it eliminated clean-ups. You can still see the original shape but it’s much softer compared to power shearing. 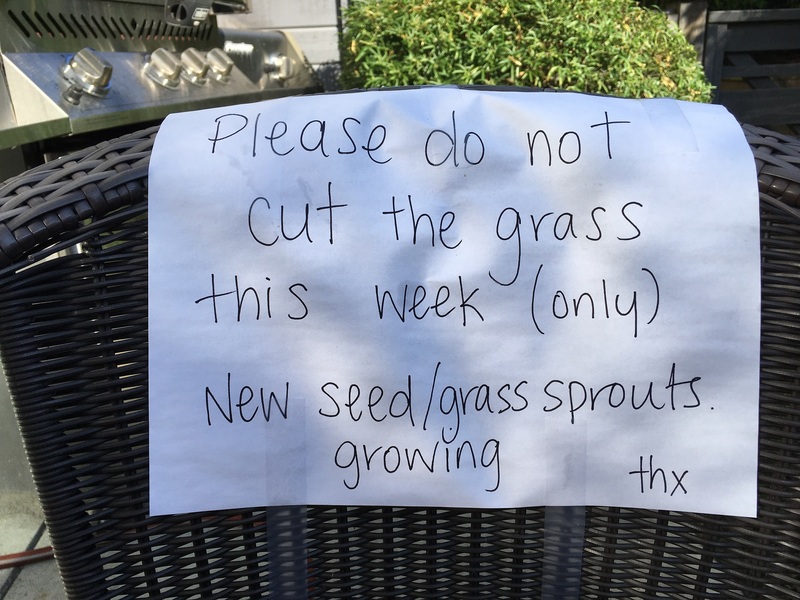 So remember, not every plant has to be sheared into a harsh shape. 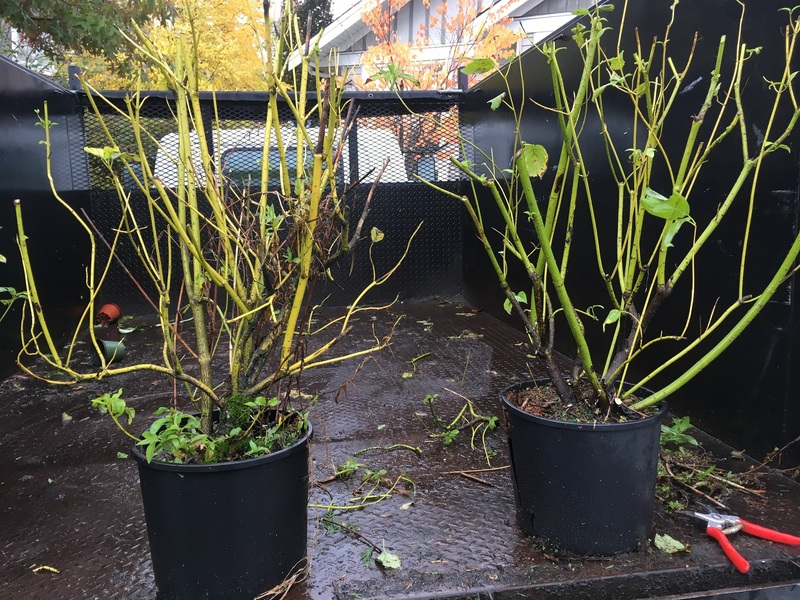 There is a solid case to be made for softer hand pruning. 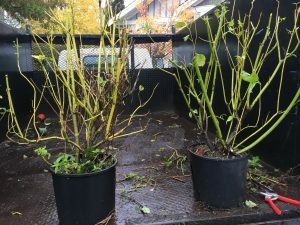 Please share your pruning pictures in the comments below. 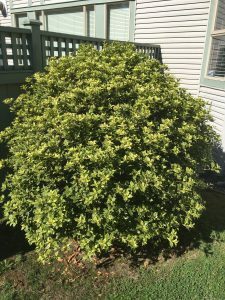 I would love to see how you handle your garden plants. In an earlier post about fall landscape projects we looked at river rock and aged mulch installs. 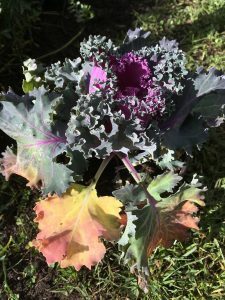 In this post we continue with more examples of landscape projects that are perfect for the fall. 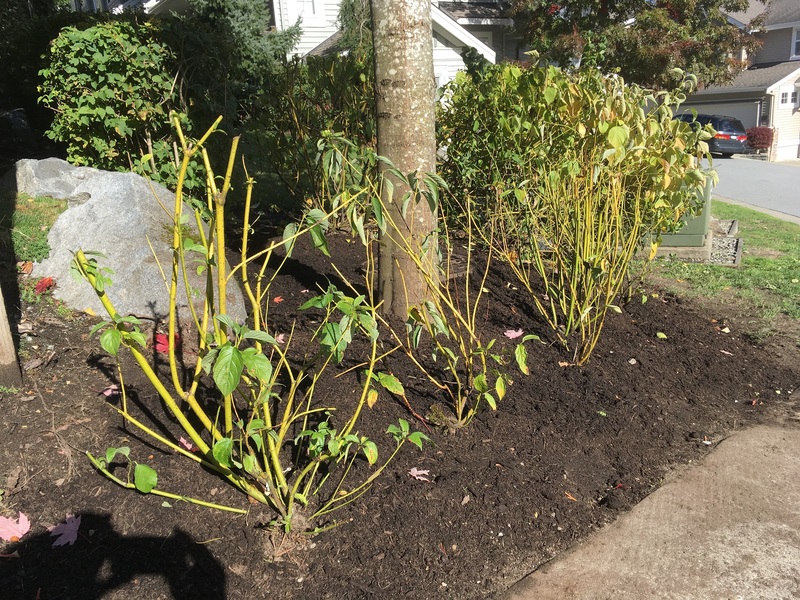 The weather is still decent so take advantage of it by improving your landscapes. 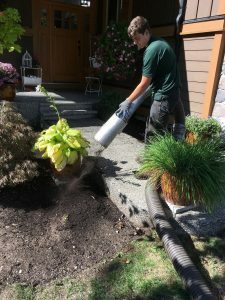 If you have a larger property or strata site, it can make more sense to have bark mulch blown in. There are several local companies that do this. They can transform the look of your site almost instantly. Paying for lots of labour hours by moving lots of yards of mulch by hand with wheelbarrows might not make sense. Sure, if you have 4 yards to move, that’s fine. But how about 80 yards? One key is to be present when bark mulch is being blown in. Walk the crew and show them precisely what should get covered. There may be some exceptions or no-go zones so explain it to them. Bark blowing saves you a lot of time. 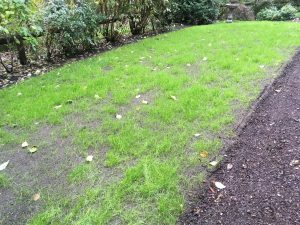 Weak lawns can be top-dressed and over-seeded right now because we still have decent temperatures for grass seed germination. 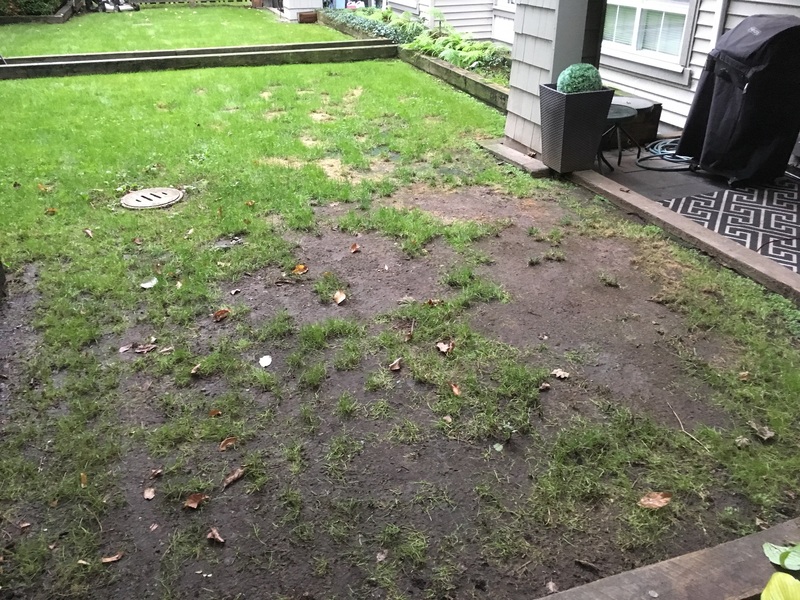 I observed three lawn repair projects recently. One was for a weak lawn where shade is an issue. The home owner did everything himself without involving his strata council. The other two projects involved lawn repair after dog damage. And as we know, unless you keep the dogs away, the lawn will get damaged again. Very few people take the time to hose off their lawns after their dogs finish their business. 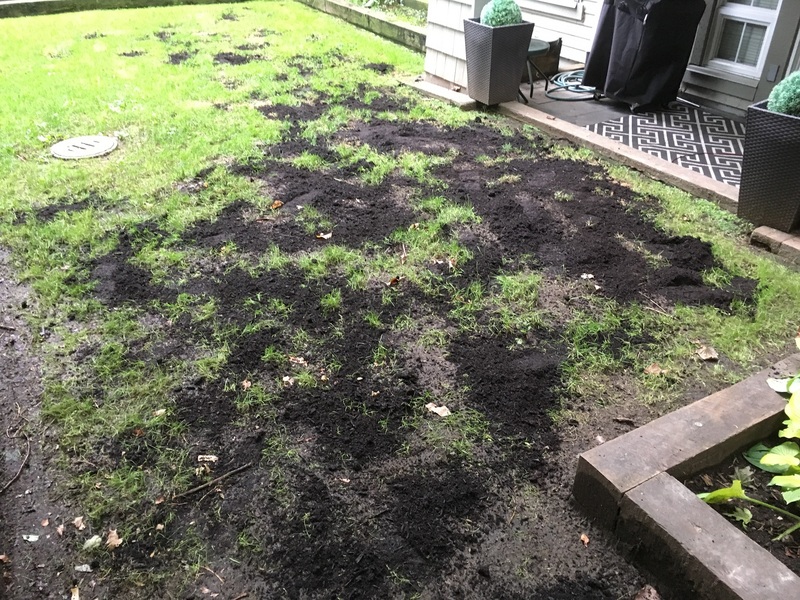 In step 1 you install new turf blend soil and then you rake it so it’s even. 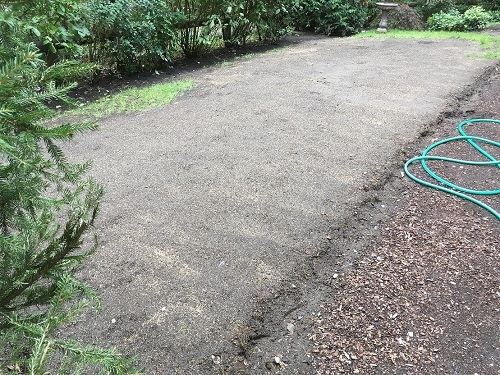 In step 2 we over-seed the lawn with good quality seed. In step 3 we roll the lawn nicely with a roller. Just fill it up with water and run it over your lawn. This flattens the soil and ensures seed-soil contact. In step 4 lightly sprinkle water over your new lawn. Fast germinating seed can germinate in seven days. Some seed mixes take longer. Temperatures can vary from place to place so don’t panic. We have germination but the dog inside is waiting. This photo is from the day of completion. It will take 7-14 days to get germination. What can you do to improve your landscape this fall? 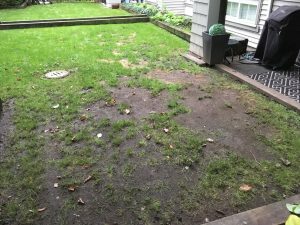 It’s October and people are trying to take advantage of decent temperatures to fix their lawns. And today my orders were to address a patchy lawn. Sure. As soon as we finished mowing, I first confirmed that I had the correct unit number and then I went in to see it. I identified two classic problems. 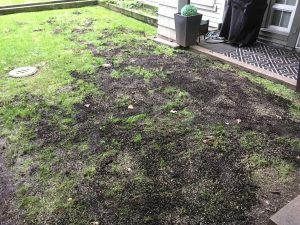 Shade and dog damage. And both problems are difficult to correct unless drastic action is taken. 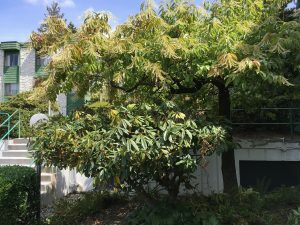 For example, you could prune the trees to allow for more light penetration; and you could give away your dog (unlikely, I know). problems: dog damage, compaction and shade. 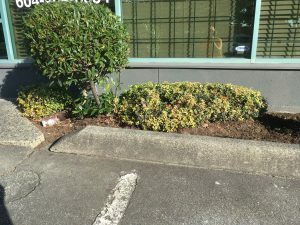 The owner of this unit sits on strata council and she insisted that we address her lawn. So I did it today with what I was given. Two bags of landscape soil, good quality fast-germinating grass seed and a hard rake. 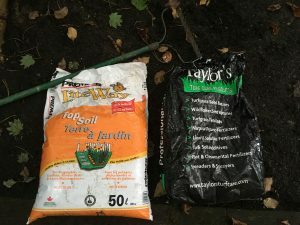 Basic materials: landscape soil, fast-germinating seed mix and a hard rake. Of course, on this particular site there are many “damaged” units because the previous maintenance company took some liberties. Now it’s a big project to bring the landscape back up to a decent standard. Why do dogs burn lawns? Because their urine contains nitrogen and the concentration is too much for the lawn to handle. It’s just like fertilizer burn after heavy applications or say, after and accidental spill. 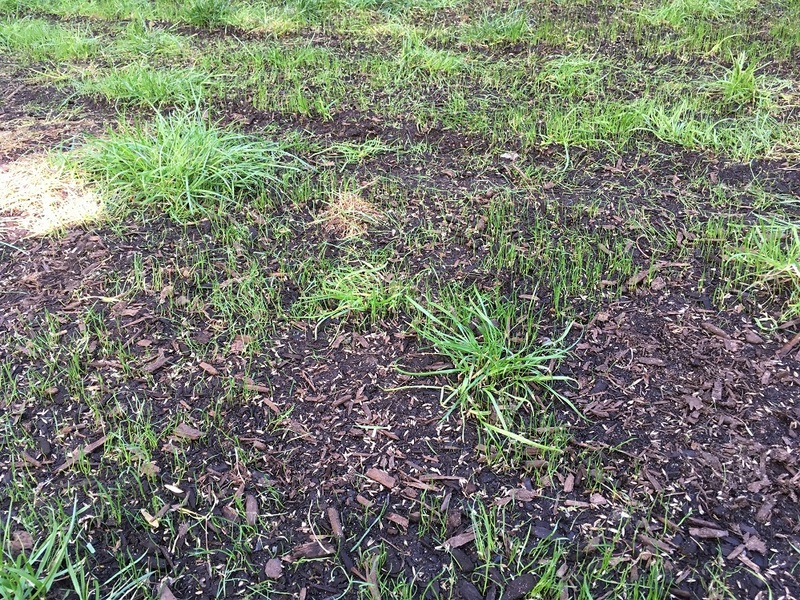 The lawn can’t handle this much nitrogen at one time and burns. 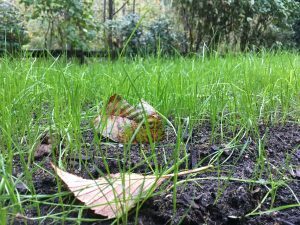 You can scarify the lawn with a hard rake to help the seed take hold. 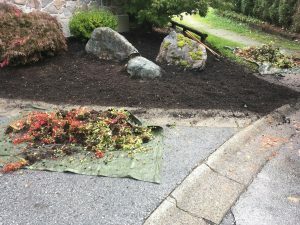 Dump out both bags of landscape soil. 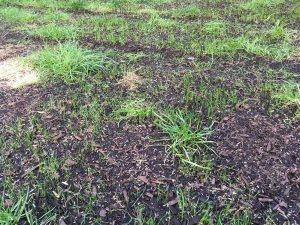 Use a hard rake to spread out the soil. Over seed with good quality grass seed. 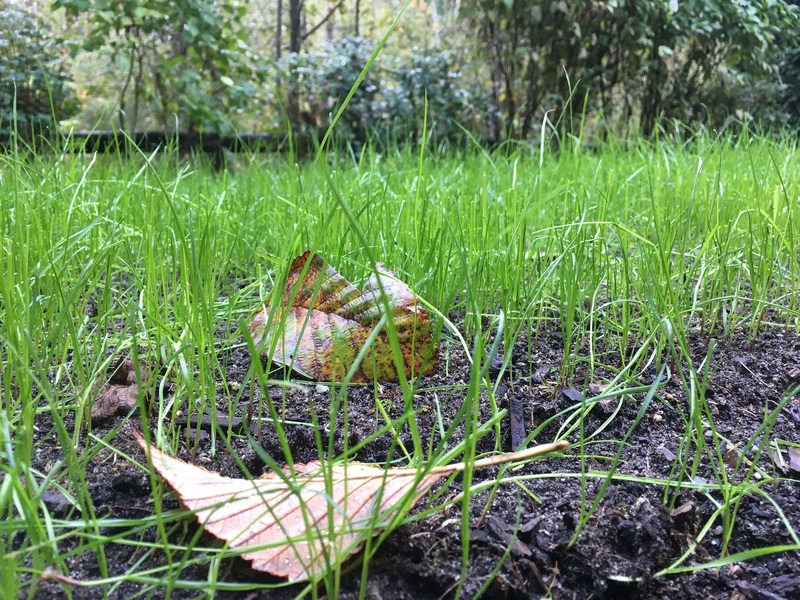 We used a fast-germinating seed mix. Clients like to see quick results and this seed mix delivers. We’ve tested it in summer with good results. It rained briefly which should help with germination; assuming day time temperatures stay the same. Is this fix a permanent solution? Not likely. The dog will keep on urinating here. I expect to see more burns in the future. 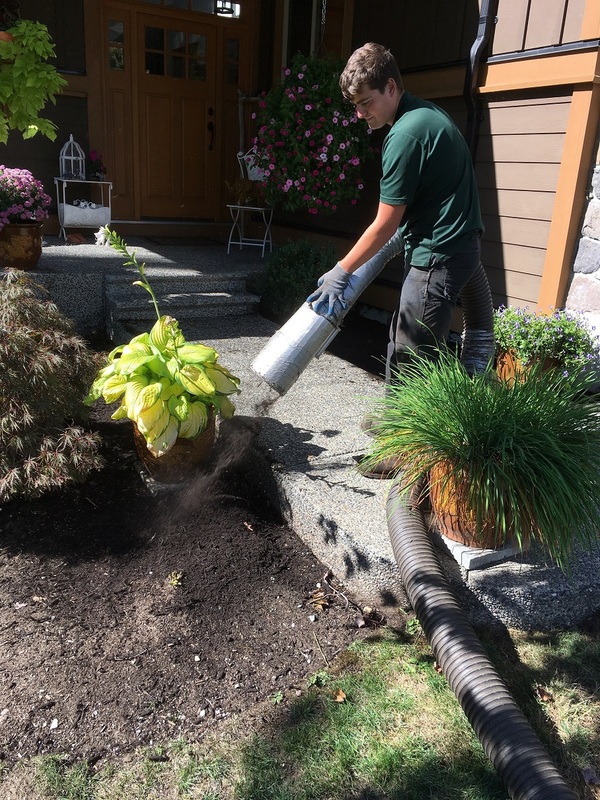 Unless, of course, the owners start to hose off the lawn after their dog does his business. 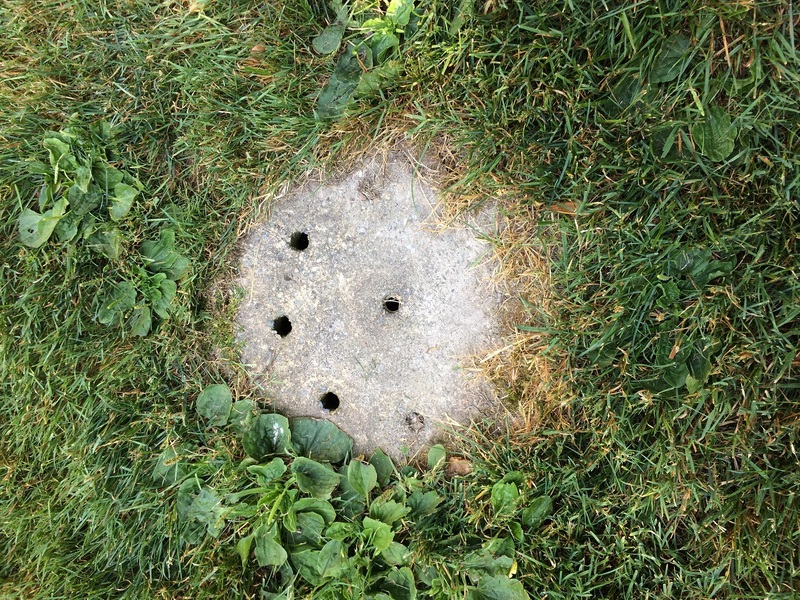 Some of my previously published blogs show clients switching to fake turf and river rock. Those solutions will not work here. Having a beautiful lawn is always a struggle when a dog uses it. Let’s just accept it. To be honest my free time for Facebook is limited but joining lawn care groups has been the best experience ever. 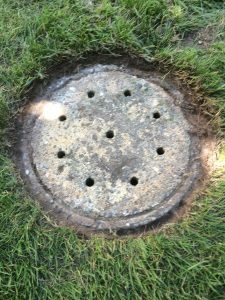 It gives you a nice look into issues facing lawn care and landscape operators. And most of the members reside in the United States. If you can get past the bad spelling, bad language and the occasional gun and ammo picture, you can get rewarded with some gems. This is one horrible habit where the landscaper blows debris into the street so he doesn’t have to pick it up. Some municipalities have bylaws against it but that doesn’t matter. It’s a bad habit. Don’t do it. It’s best to blow any debris into piles, rake it up and put into your truck. Don’t mess up the roadways or neighbouring properties. But there is one exception. Windy days. When the winds are howling and you can’t control the blowing then I can look the other way. As long as my workers don’t step into roadways which is extremely unsafe. Of course, the workers remember this exception and then it’s windy every day….. This was from a very frustrated company owner who had received phone calls from angry clients. Why were the young trees slashed up and missing bark? Again. See picture below. I’ve experienced this with young co-workers at a municipality. We were at a public park and my co-worker started line edging around the closest tree. And he was very aggressive. So aggressive I almost got hit with bits of bark. So what do you do? I have already published a blog post on this epidemic and you can read it here. But let’s just recap, shall we? The recommendations are to remove grass from tree stem areas, workers are to be held accountable and trained until they understand it. For there are implications when you slash up live trees with line edgers. As we know, trees are resilient but repeated slashing of the bark stresses the tree. The poor plant now has to expend precious energy into repairs and will likely not grow as vigorously. Repeated hits can kill the tree. 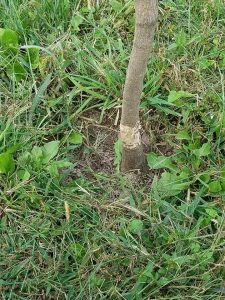 So please don’t do this to your trees. Read my blog and never slash up trees with landscape machines ever again. 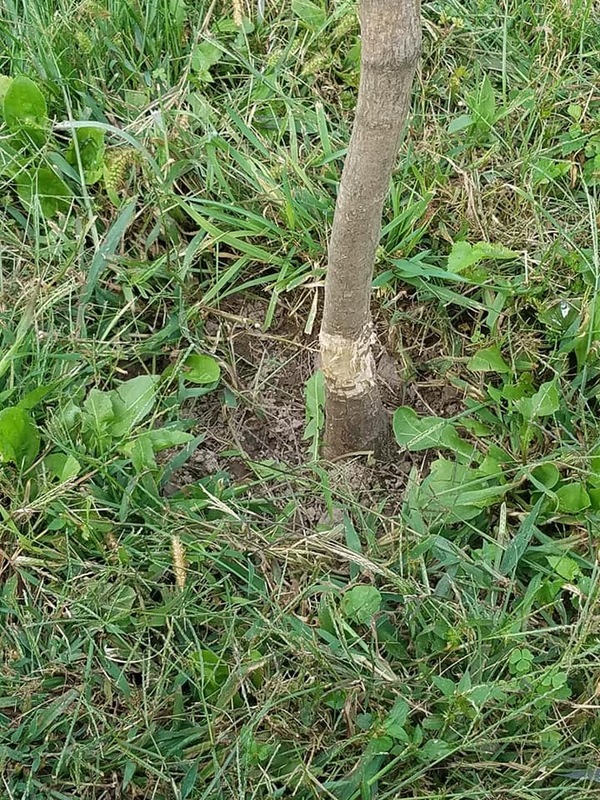 You can see why the owner of this young tree wasn’t happy. The line trimmer string probably wrapped around the trunk and stripped the protective bark layer. 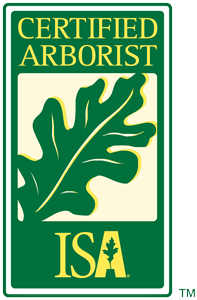 Install a plastic guard, build a tree well around the tree or just remove any grass from the base of the tree. Train all workers well and hold them accountable. This term came with a disturbing video in which the operator of a line edger buzzed weedy beds down to dirt patches. It looks ridiculous and unsafe. Your line edger should be used for edging only. Bedwork is a completely different task. I worry about rocks flying into windows or the worker “eating” rocks. The weeds will probably come back anyway. It’s best to use garden tools for bedwork. Period. Spending some free time (NOT work time!) in Facebook groups can be rewarding. Sometimes there are decent discussions about estimating, machines and worker attendance. Not every group is fantastic so look around and enjoy. Maybe we’ll see you there. Leave group recommendations in the comment below.